Let yourself, or your clients, #travel back in time and be part of the old west with this professionally photographed #collection of backgrounds from the ‘Old West’. Savor the bustling mining towns with the spirited miners and cowboys going about their daily chores…and yes ….even witness the gunfight at the OK Corral. 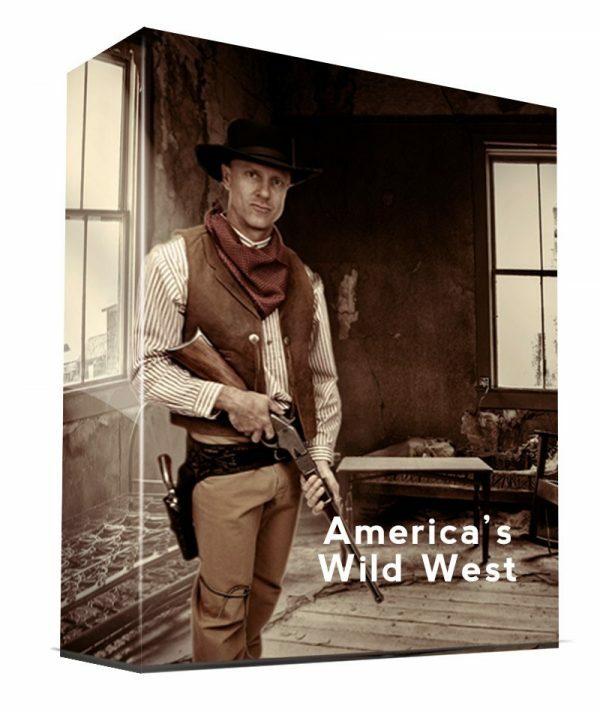 The Wild West is brought to life through LayerCake Elements Epic Location Sets – Wild West Collection. Tags: Advertising, Creatives, Design, Digital, Digital Compositing, Editors, Ghost Towns, Graphic Design, Graphic Designers, how to photoshop, Location Sets, Old West, Photographers, Photoshop, Photoshop Users, Wild West. Let yourself, or your clients, #travel back in time and be part of the old west with this professionally photographed #collection of backgrounds from the ‘Old West’. Savor the bustling mining towns with the spirited miners and cowboys going about their daily chores…and yes ….even witness the gunfight at the OK Corral. The Wild West is brought to life through LayerCake Elements Epic Location Sets – Wild West Collection. At your fingertips are sets and scenes photographed at precise angles which leave enough foreground space to realistically drop in your subject. Our professional photography team traveled extensively throughout our great Nation, photographing majestic landscapes, old mining camps and vintage ghost towns still preserved in their original settings. Hollywood sets and backlots; vintage buildings from the 1800’s and early 1900’s; railroads; western interiors; storefronts; and a great deal more, are part of this one-of-a-kind collection. High school Guys don’t want no stinkin' off-the-shelf template backgrounds, they want hotrods! 65 colorful hot rod high revving, high resolution, portrait backgrounds which can be resized, or cropped, to fit any custom print size make up this incredible LayerCake Elements' Hot Rod Backgrounds Collection. When combined with the magic power of the StudioMagic I & II Compositing Bundle plug-in for Adobe Photoshop users, you can mask and cut out your subject photographed in the safety and security of your studio; then, place them against one of the Hot Rod backgrounds in Hot Rod Backgrounds Collection. All without having to travel to a car show to do a location shoot. Each background is high-resolution image which is able to be cropped, or sized, to fit any custom print request. Since these are digital image files, the LayerCake Elements’ Hot Rod Backgrounds Collection is compatible with any editing application which uses layers to build the final photo. LayerCake Elements' Albums & Backgrounds Bundle has everything the busy wedding and portrait photographer, editor, or graphic artist, or general Photoshop user, needs to craft jaw-dropping images. The Albums & Backgrounds Bundle has 100, high resolution digital backdrops ready to layer in behind your subject. Our digital backdrops range from Traditional to Eclectic in order to provide a comprehensive selection for the artist to choose from. To finish your new composition, and highlight the subject of your photo, there are 15 ready to use vignette overlays at your fingertips.To this regal collection of digital backdrops and vignettes, add the power of StudioMagic I's Cutout & Light Brush tools to your editing toolbox, along with the Album Accents Suite to let your creativity soar. Watch your clients gaze at the photograph you present them with eyes wide-open in amazement. This is the collection which every wedding and portrait photographer, editor, or graphic artist, or general Photoshop user must have. Time travel to the nostalgic past of 19th Century with the Americana - 100 Backgrounds Collection - without leaving the modern day! There are more than 100 high resolution digital backgrounds, all beautifully aged and time-worn, of 19th Century architecture; antique autos; turn of the century shops; sports images; and, rural landscapes from New England to the Old West, in this collection. This is an Americana treasure for the Creative in you. You can easily crop, or add your own creative touch, with any of the popular filters such as Topaz, OnOne, Filter Forge, or Nik. ● NOTE: Action sets are designed for Adobe Photoshop ONLY. They will NOT work with other editing applications. Provided in this collection are several grandly #majestic #staircases of the Old World. Likewise, there are several #ancient #arches and #doorways - architectural wonders constructed by #OldWorld artisans - included in this #collection. We've added some unique bonus images to this collection as well - colorful and stately Victorian structures from America’s past century. LayerCake Elements' Ebb Tide Portrait & Panoramic Bundle enables the Creative Artist to place their subject at the beach - regardless of where you are working from. Fifty (50) professionally captured photos of the California beaches as the tide ebbs and flows open up enormous potential for Photoshop users when compositing images. Combine the Ebb Tide Portrait & Panoramic Bundle with the magic and power of the StudioMagic I & II Compositing Plug-in for Photoshop and your images will astound and astonish your clients and friends. When you add the LayerCake Elements' Sea Cliff Portrait & Panoramic Background Bundle to the mix... you will own the beach! LayerCake Elements 1K Background Blowout Collection contains 1000, 300 dpi 11” X 14” backgrounds. There are: Abstract; Disco; Patterns, Flowers; Trains; Black & Whites; Wood & Bark; Granite; Winter; Sports; Trees & Leaves; Celebration; Birds & Animals; Masterpieces; Wedding; Under the Sea and Water,;Vintage Airplanes; Water lilies; Fireworks; and many more distinctive digital backgrounds inside this collection. Our customers love the LayerCake Elements' backgrounds. Additionally, they use Studio GOBOS and the amazing StudioMagic Pro-Panel Compositing Plugins for Photoshop for easy Cutouts; generating realistic shadows with ShadowCaster; then completing their new artwork with Painting with Light! This on-location journey takes you to old abandoned and dilapidated warehouses and structures. Let’s continue our venture to high end interior studios complete with creative settings of distressed walls ladened with colorful graffiti and urban flooring. At your fingertips, using your Photoshop program, are layers of street graffiti that you can drag and drop on walls in your composite to create your own edgy street art. All this is done in the confides of you home or studio. There will never be another U.S. Highway like The Mother Road - Route 66. LayerCake Elements is proud to present this unique collection from "The Mother Road". Let your clients be placed into a REAL, and very popular, 1950's diner with Marilyn Monroe and Elvis Presley paintings adorning the walls. Located in Kingman, Arizona this diner is a popular hangout for riders and travelers on The Mother Road, as well as the local residents of Kingman, AZ. Or, place your clients into any of the more than 100 location scenes in the collection. The Route 66 collection will definitely allow you, and your subjects, to... GET YOUR KICKS ON ROUTE 66! LayerCake Elements’ Sea Cliff Portrait & Panoramic Bundle Enables The Creative Artist To Place Their Subject At The Beach – Regardless Of Where You Are Working From. Fifty (50) Professionally Captured Photos Of The California Beaches and Geographic Patterns Within the Pacific Coastal Mountains and Cliffs Open Up Enormous Potential For Photoshop Users When Compositing Images. Combine The Sea Cliff Portrait & Panoramic Bundle With The Magic And Power Of The StudioMagic I & II Compositing Plug-In For Photoshop And Your Images Will Astound And Astonish Your Clients And Friends. When You Add The LayerCake Elements’ Ebb Tide Portrait & Panoramic Background Bundle To The Mix… You Will Own The Beach!